true jazz masters for over 40 years. Some of the performers include: Big Joe Turner, Anita O’Day, Tony Bennett, Joe Pass, Gene Bertoncini, Gray Sargent, Dizzy Gillespie, Clark Terry, Ruby Braff, Urbie Green, Phil Wilson, George Masso, Al Cohn, Bud Freeman, Scott Hamilton, Warren Vache, Randy Brecker, Tommy Flanaghan, Monty Alexander, John Bunch, Makoto Ozone, Nelson Riddle, Ralph Sharon, Phil Woods, Joe Williams, Dorothy Donegan, Marian McPartland and a host of others. Marshall Wood's recording credits include CDs with Carol Sloane, Anita O’Day, Scott Hamilton, Dave McKenna, Tommy Flanagan, Bucky Pizzarelli, Michael Moore, George Masso and Donna Byrne. 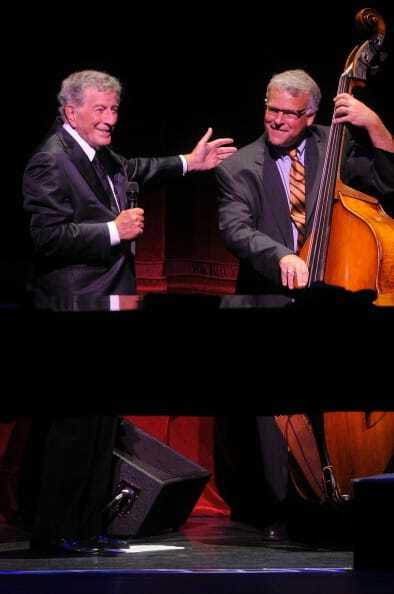 Marshall has been Tony Bennett’s recording and touring bassist since May, 2009. In that time, he has traveled all over the world, appeared in all the major jazz festivals in North America, Europe and Asia and on many major network television shows He also recorded two Grammy-winning records with Tony Bennett and a host of duet partners.